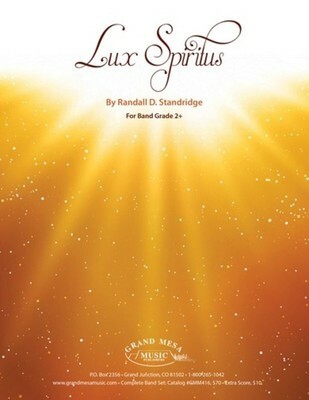 Lux Spiritus ('Spirit of Light') was written in celebration of a Pennsylvania band director who dedicated her life and career inspiring and instructing the next generation of musicians. The work takes the form of a celebratory fanfare followed by an energetic dance that seeks to capture the fun and energy her students experienced daily in her classroom. Let the light in this stirring band work inspire your students to higher musical achievement!